Its a sad fact that only 8% of small businesses are sold for a decent price. This is not good news if you are relying on selling your business for your pension, or indeed for any other purpose. However, many more businesses would be saleable for fair value if the owners had planned their exit in good time. Will you transfer your business within your family, or do you want to sell it – to an employee, or to an outside purchaser? How much do you want for it? When? Will you stay with it or move on? You’ll need to think this through because your exit strategy will determine how you go about positioning your business for its eventual sale. You’ll start with a valuation and you’ll almost certainly find it is well below what you need. positioning you, the owner, so that on the eventual sale the business can be run either without you or on a planned exit path such as an earn-out. Probably 2 to 3 years – when you have done the analysis, you’ll see this is the length of time it is going to take to put your business in the right shape to sell it for a good price. Now that you know what has to be done and who you might sell it to, you can get on with planning the changes you need to make to your business and making them happen. You’ll also need to identify who, in the long run, might buy your business so that you can position it to be attractive to them. Having gone to all that trouble the last thing you’ll want to do is to sell cheap. So, do make sure you choose people to help you who have a track record in achieving excellent value. If you are in this situation and would like to talk to someone about it, please feel free to contact us. We can help in every stage from the setting your exit strategy through to finding a buyer and making the sale. Posted by Peter Johnson, Business Advisor with SGBA. If you would like a free initial consultation to discuss your business, including your Exit Strategy and Plan requirements, call Peter on 07714 093406 or email him at peter.johnson@sgba.co.uk. As a small business owner wanting to grow your business you will be looking at ways to improve your business to generate more profit and cash, to free-up working capital, and to make more effective use of your own time. While there may be one-shot improvements you can make, such as outsourcing an overhead function to make a net saving, there will always be those issues where the benefits are obvious but the means of achieving them are not so clear. Adopting a systematic, continual improvement approach to those issues could be the answer. It used to be thought that continual improvement was about manufacturing quality, but these days, quality is seen as something that should be embedded right across a business. First you set down the objective you want to achieve. 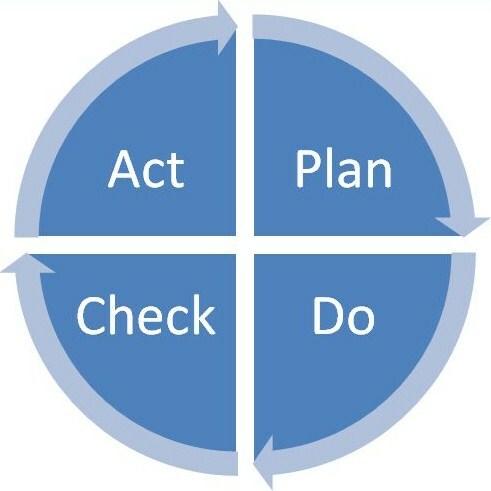 Then you embark on the 4-step PDCA cycle Plan – make a plan for achieving it; Do – carry out the plan; Check -gather and quantify the results; and Act – decide what to do next. Having decided what to do next, you then make a new plan and repeat the cycle. Obvious, really – when you sit down to work out how to deal with your issues, your thinking almost certainly follows those steps anyway. But the key to making this work is to get the people designated to resolve the issue – you, a member of your staff, or a small project team you have put together – to set a timetable for each cycle and stick to it. And if you have the resources to run a number of improvement projects in parallel, you can review them at your management meetings, monthly or quarterly. The results will come, slowly but surely, and year on year your company’s performance will get better and better! Posted by Peter Johnson, Business Advisor with SGBA. If you would like a free initial consultation to discuss your business, including how to embed Continual Improvement in your company’s culture, call Peter on 07714 093406 or email him at peter.johnson@sgba.co.uk. >Do you know which records the law says you need to keep? Whether you work for yourself or you run a small business employing others, good record-keeping has a number of benefits. For starters, if your records are up-to-date, it makes filling in your tax return easier and could help you avoid paying too much tax. Keeping track of your income and expenses will also help you budget for any tax you owe. And it can also help reduce your accountant’s fees, if you use one, as well-organised information saves them time too. Up-to-date records also give you the information you need to manage your business and help it grow. They will make it easier to get a loan, if you need one, and may support your claim to some tax reliefs or capital allowances. You should keep invoices and receipts to show what you have bought or sold relating to your business. If you are employing others, you must keep records of their wages and the tax and National Insurance you have deducted and paid to HM Revenue & Customs (HMRC). You need to show clearly what you have spent personally and what you have spent on your business. If you use cash, you should retain till receipts and a record book to keep track of it all. If you are using part of your home for business then you should keep copies of utility bills, so that you can work out the amount spent in relation to your business. You should update the information regularly – if you don’t you may face a penalty for failing to keep adequate records. Whether you are just starting out in business or you are already up and running, Business Link’s online record checker will tell you which records you need to keep and give you feedback on any improvements you need to make. Go to www.businesslink.gov.uk/recordkeepingcheck. UK Business Advisors (UKBA) understands that HMRC have carried out a random enquiry programme from which they believe that 40% of SMEs have either inadequate or poor record keeping. They issued a consultancy document in December entitled “Business records checks” with a view to implementing a programme from the middle of this year to examine the books and records of some 200,000 small businesses. They anticipate raising an additional £600m in tax over four years – an average of £3,000 per company. · Outsourced services not contractually written down or documented. Any of these give HMRC an easy route into a company’s records and open up investigations. 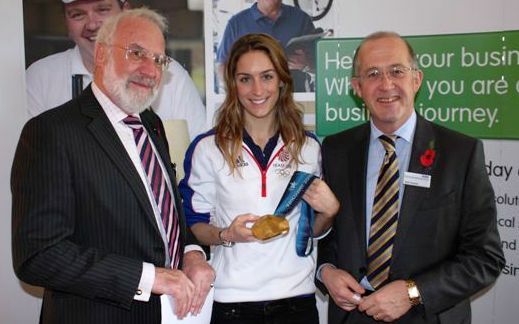 These words were said by Amy Williams, Gold Medal Winner at the Vancouver winter Olympics 2010 in the Skeleton event. For the uninitiated the skeleton event is sliding down a an icy hill at up to 90 mph on a tea tray head first! To get the gold medal Amy said that she had to control the controllables and make tiny changes to help her improve. This included the controversial design of her helmet, down to her body temperature prior to the start of the event. Research had shown that her body performed best at slightly above normal body temperature so Amy wore a thermal wrap (like we see marathon runners wearing after they have completed their run) under her jacket for the period immediately before the start. Research had also shown that muscles recover more effectively if cooled down rapidly after her event. This required Amy to immerse herself in freezing water for a number of minutes after each race. Amy acted on all of the research and guidance provided and the results spoke for themselves! The lesson here is that no matter what business you are in small improvements can make all the difference.